Establishment of clean energy microgrids worldwide is boosting the power supply to remote villages that are either not connected to the main electric grid, or only have access to diesel-powered electricity for a few hours a day. A battery-based microgrid system ensures that these areas have access to reliable energy 24/7, which allows remote communities to operate lighting, communications, radios, TV, and other electrical appliances. Access to electricity also enhances productivity of local businesses, and fosters the development of new commercial activities. The majority of Haiti has little to no access to grid power; the town of Les Anglais was no exception. 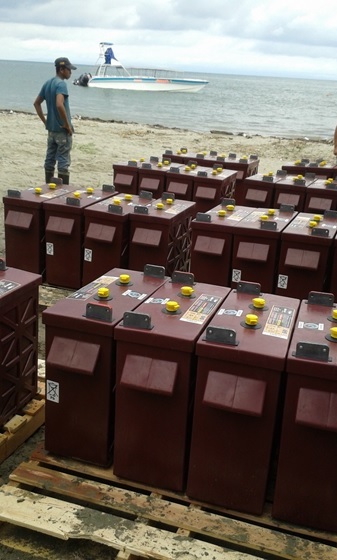 Thanks to a grant EarthSpark International received from the “USAID Powering Agriculture: An Energy Grand Challenge for Development,” the organization was able to implement a hybrid microgrid with battery backup for the Les Anglais community. 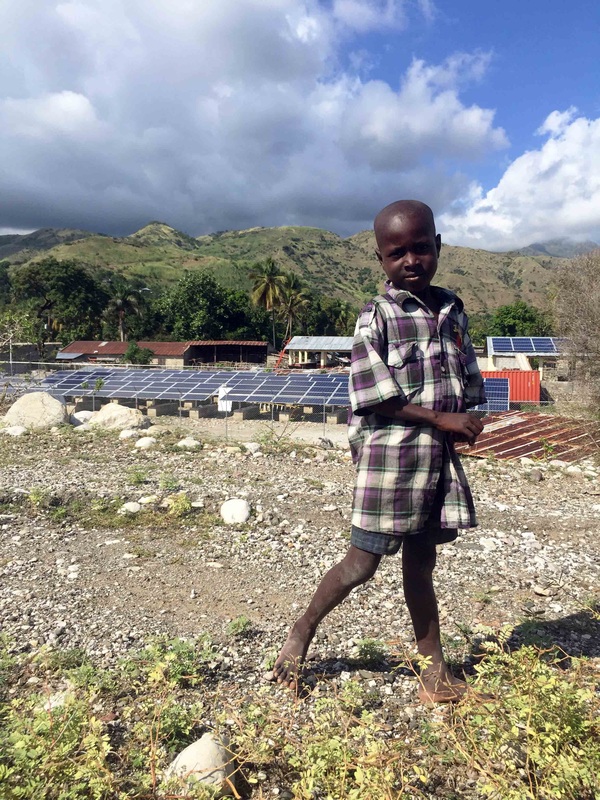 This microgrid is the first of its kind in Haiti. It includes 93KW solar PV, a 410kWh deep-cycle lead acid battery bank, and a 30KW backup diesel generator. Smart meters were developed to serve residential and commercial customers, including agricultural processing facilities. After three years of feasibilities studies with a small group of customers, EarthSpark was ready to implement the SparkMeter system for the Les Anglais microgrid. EarthSpark’s microgrid provides reliable electrical power to the community, which consists of 450 households and businesses, as well as the downtown area of Les Anglais. Deep-cycle batteries are key components in photovoltaic microgrid applications that require reliable energy storage. They also reduce a project’s operating costs, by eliminating, or reducing the need for diesel fuel consumption, fuel transportation, and maintenance required by diesel generators. The 93kW solar PV solution is supported by a 480-volt battery bank container solution, featuring 152 deep-cycle gel batteries with 38 batteries per string. The Municipality of Acandi is located in western Colombia, an area that is mainly jungle. It stretches along the Caribbean Sea, bordering Panama. This remote area is not tied to an electrical grid, and residents had access to electricity for just a few hours a day via diesel generators. The Colombia Ministry of Mines and Energy issued a mandate to expand the availability of electricity to these remote areas by building five solar hybrid microgrids, with a total solar capacity of 191 KWp. This project is the first of its kind in the Choco region, and provides 431 households access to clean, affordable, and reliable energy for the next 20 years. One of the greatest incentives for the installation of the five microgrids was to reduce the use of diesel fuel. Not only were the generators noisy and emitted pollutants, but the area can only be accessed by boat, so transportation costs are prohibitively high. In addition, when a generator broke down, the community would have to go without electricity until someone could fix it, which, in these remote locations, could take a very long time. Today, however, the solar microgrids provide electricity for most of day. Residents don’t have to plan their day around the time when electricity would have been available via the diesel generators. Children can now study at night, parents can cook in the evening without the having to use candles, and businesses can stay open after the sun goes down. 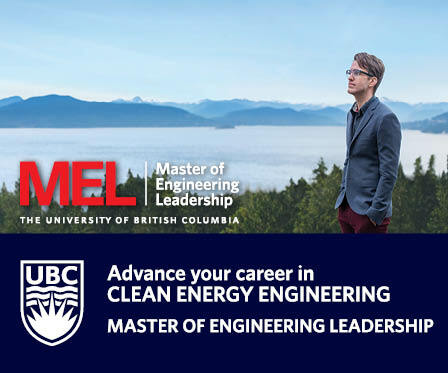 With batteries being one of the most expensive components of a microgrid, the economics of the projects required the installation of industrial, high quality, deep-cycle batteries engineered to achieve a 20-year lifespan, as well as having the lowest price per KWh per cycle. The deep-cycle batteries selected also featured a carbon formula to address the inconsistent charging the batteries would regularly experience This carbon additive enhanced overall battery life, improved charge acceptance, and provided a faster recharge of the batteries. Reliable access to electricity contributes to expansion and improvement of the community’s commercial activities. It also helps attract more tourists to the area. These factors improve the overall quality of life, and allow the residents to have access to improved communications, education, and jobs for many years to come. Romina Arcamone Garcia is Market Manager of the Latin American division of the Trojan Battery Company, a manufacturer of deep-cycle batteries with more than 90 years of experience.